The band only formed in 2016 and have already had coverage with BBC, Upset, Rock Sound, Scuzz, Punktastic and Kerrang Radio to name a few. Alex Baker at Kerrang Radio plays the band's tracks very regularly on his Fresh Blood show and was quoted saying "If you're into rock music that sounds like it's been crafted by gods in the stars then I'm sure you're gonna love this!" Alex Baker has also added the band to his Kerrang Spotify playlist alongside bands like Moose Blood, Press To Meco and Bad Sign. Veridian were also interviewed by BBC introducing on BBC Radio Berkshire last summer and featured on Norwegian mainstream radio too. 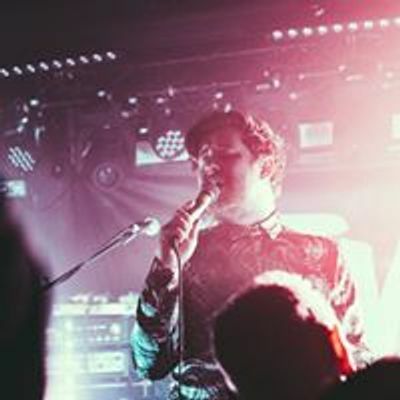 They have played shows with Arcane Roots, King Blues, toured alongside Evarose, Diamond Days, and Chasing Cadence and their first show in Reading brought 250 through the door, followed by a sold-out London show. Having been regularly compared to solid rock bands such as Young Guns and Mallory Knox, it is safe to say the band will be making a huge impression over 2017, already being booked to support UK leg of Red Jumpsuit Apparatus' "Don't You Fake It" 10 Year Anniversary World Tour. Also across the summer Veridian will be hitting up Amplified Festival, Turbulence Festival and Deadbolt Festival. The band recently joined Artery Global for UK/EU bookings alongside bands such as Devil Sold His Soul, Forever The Sickest Kids and Alesana.